To start playing lotto online visit LottoHoy website. Every lottery player wants to be confident that their purchases or deposits are safe, as well as their personal data. In the market there are websites that offer to play worldwide lotteries, but not all these platforms offer enough seriousness and security for the player. LottoHoy.com fulfills these premises, as it has a secure online platform to guarantee customer operations. All transactions are governed by security protocols with 256-bit A + SSL Certificates to protect the exchange of electronic information. The PowerBall and the MegaMillions from the United States. The Euromillions and the Eurojackpot from Europe. La Primitiva, BonoLoto and Gordo de la Primitiva from Spain. The UK Lottery from the United Kingdom. Powerball AU, Oz Lotto, Mon / Wed Lotto and Saturday Lotto from Australia. LottoHoy provides an intermediation service for the purchase of lottery tickets. That is, they purchase the tickets to the official sellers in each organizing country on behalf of the player. The platform is available for any type of device, mobile, tablet or desktop. 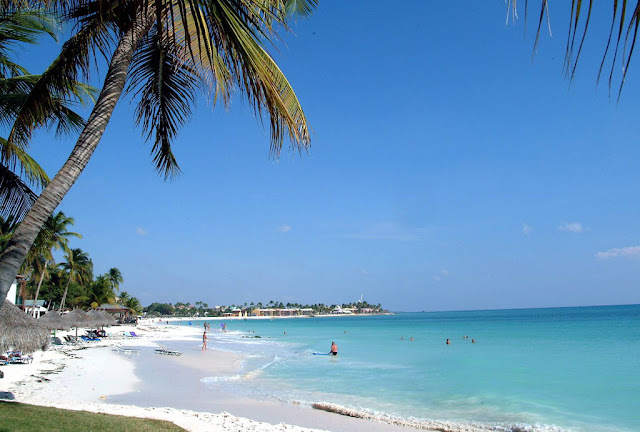 Initially it offers the English, Spanish and Russian languages. On the main page you will find the most interesting lottery jackpots for the closest draws. You can also see results of the latest raffles, and a small sample of some recent winners. When accessing any of the lotteries offered, the page shows the various columns to perform the forecast (which can be done manually by clicking on each numbered box, or let the system itself choose the combination randomly -Quick Pick-) . LottoHoy.com does not require a minimum ticket purchase or plays, being able to choose to play a single line, or make as many as the player wishes. 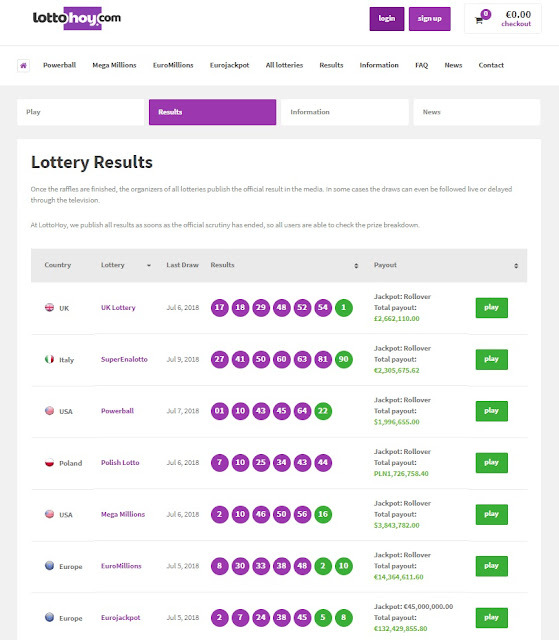 This screen offers the possibility of accessing the results of previous draws, as well as information on each lottery and the most relevant news. The prizes won in the lotteries are directly deposited into the user balance account, so that they are available immediately for their withdrawal or to make more purchases. The prices of the lottery tickets offered at LottoHoy are probably the cheapest compared to other companies with similar characteristics. As we are told, this decision has been taken to benefit the player as much as possible, allowing the players to play more tickets with less budget. LottoHoy.com does not charge any commission or fee of the prizes that their customers win. To answer questions and resolve any doubt, the platform has a complete FAQ section with answers to any doubt about the company, the services it offers, and the mechanics of the system. Likewise, it offers customer support through a form on the platform itself, a direct email address 24/7, and an online chat service.